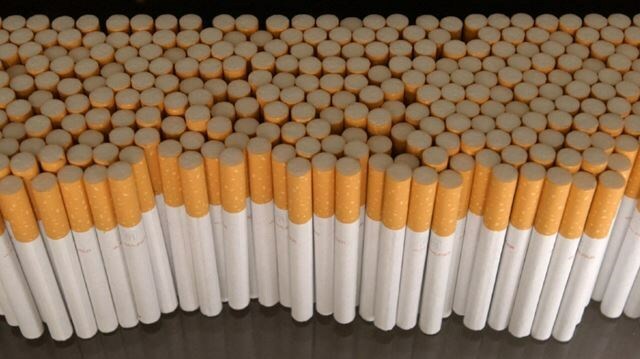 Police say April was a tough month for tobacco smugglers near the eastern Ontario city of Cornwall. 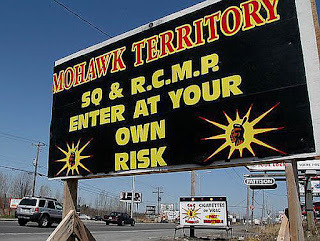 A task force of RCMP, OPP, Canada Border Services Agency, and the Ontario Ministry of Finance made five busts. 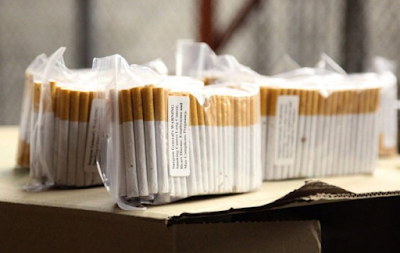 They combined for seven arrests and seizures of 1,986kg of tobacco, 11 cases and 131 large baggies of cigarettes, six cases of cigars, and three vehicles. 21 main players of a highly structured criminal organization with links to the Hells Angels and organized crime were charged in May 2016 in project 'Mygale'. 2 million kilograms of tobacco was bought in North Carolina and illegally imported in trucks at border crossings between August 2014 and March 2016. It was sold at big profit margins to processing plants — most on reserves. Governments were defrauded of $540 million in revenue from the ring that extended to the United States, South America and Europe. The tobacco was bought at about $3 a pound, sold to the processing plants for $10 a pound and then sold by the plants for $15 to $20 for 200 cigarette bundles. Police confiscated 52,800 kilograms of tobacco, $1.5 million in Canadian cash, $3 million in U.S. funds, cocaine, methamphetamines, cannabis and fentanyl.